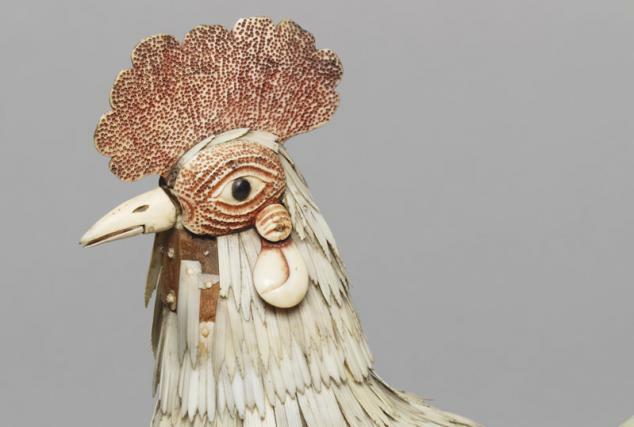 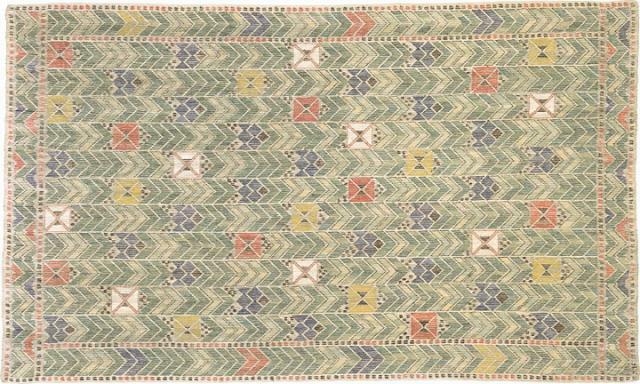 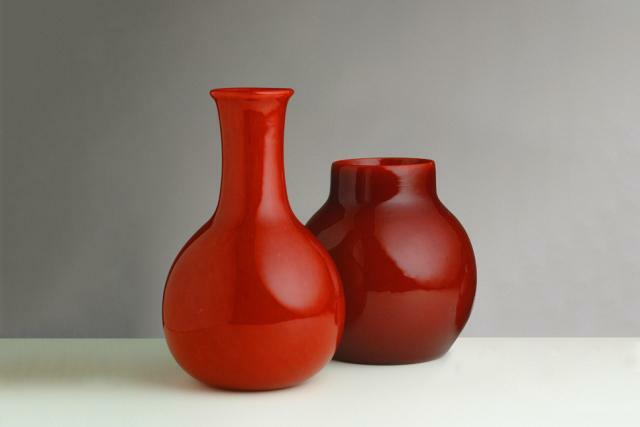 This piece was made using a high-quality weaving technique. 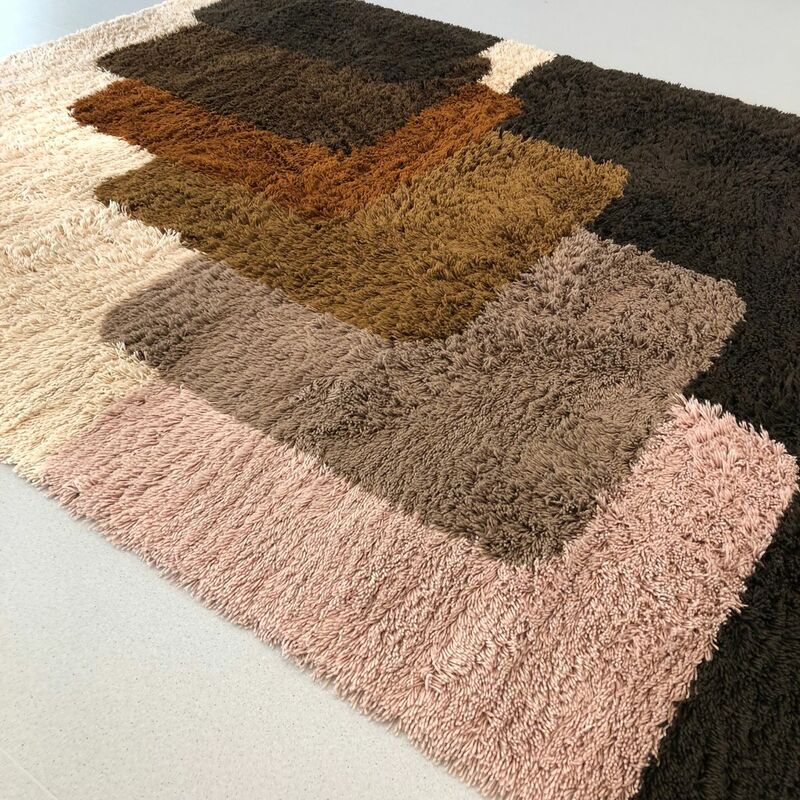 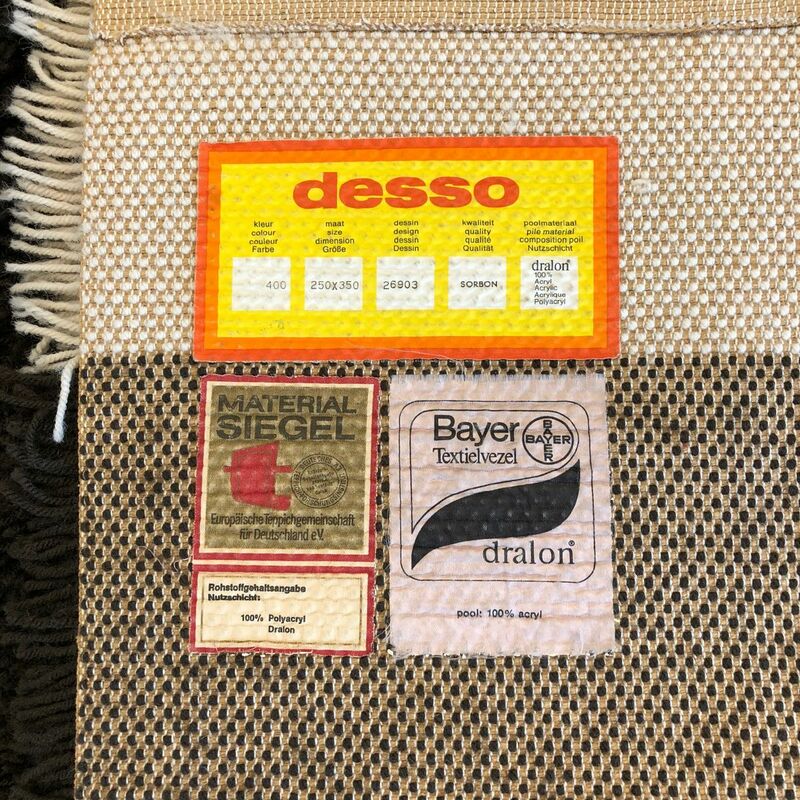 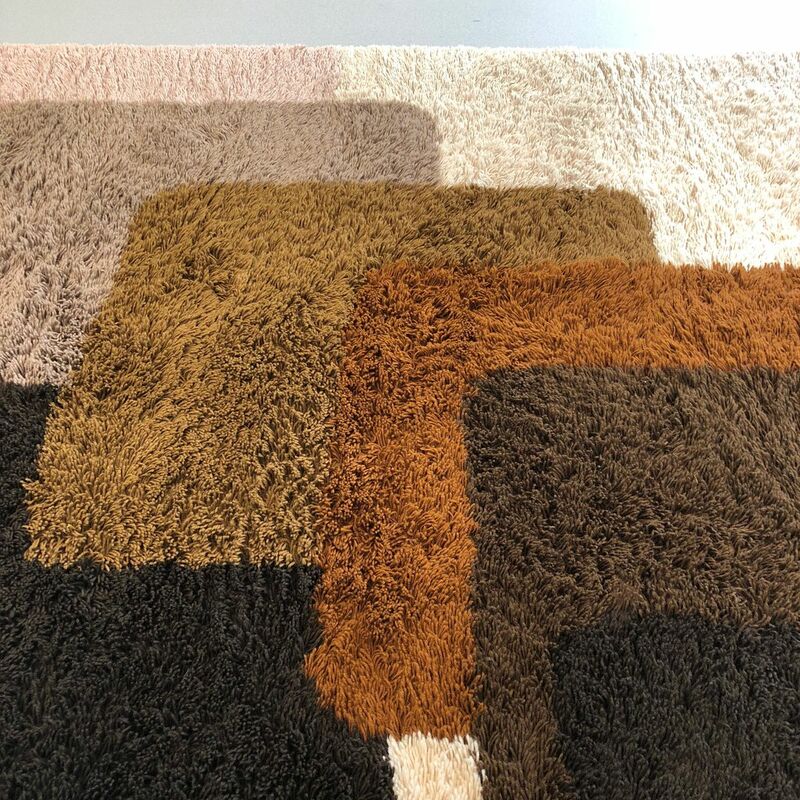 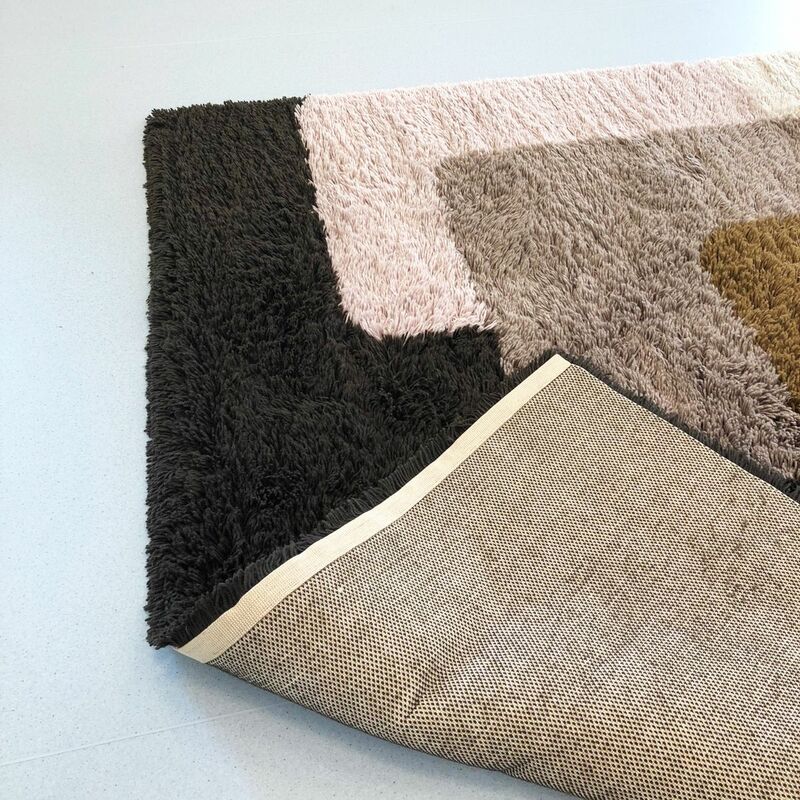 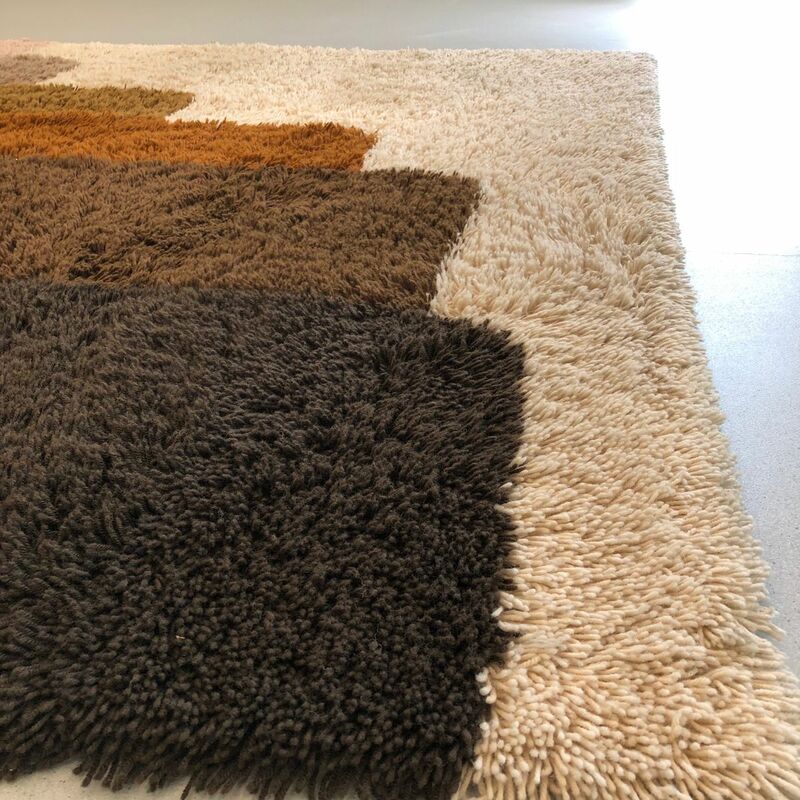 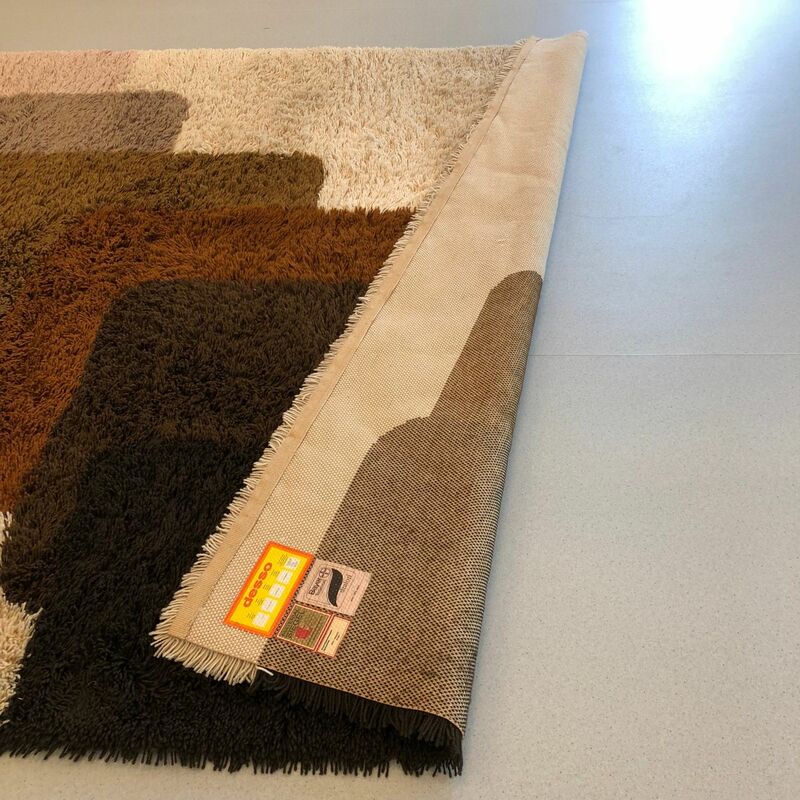 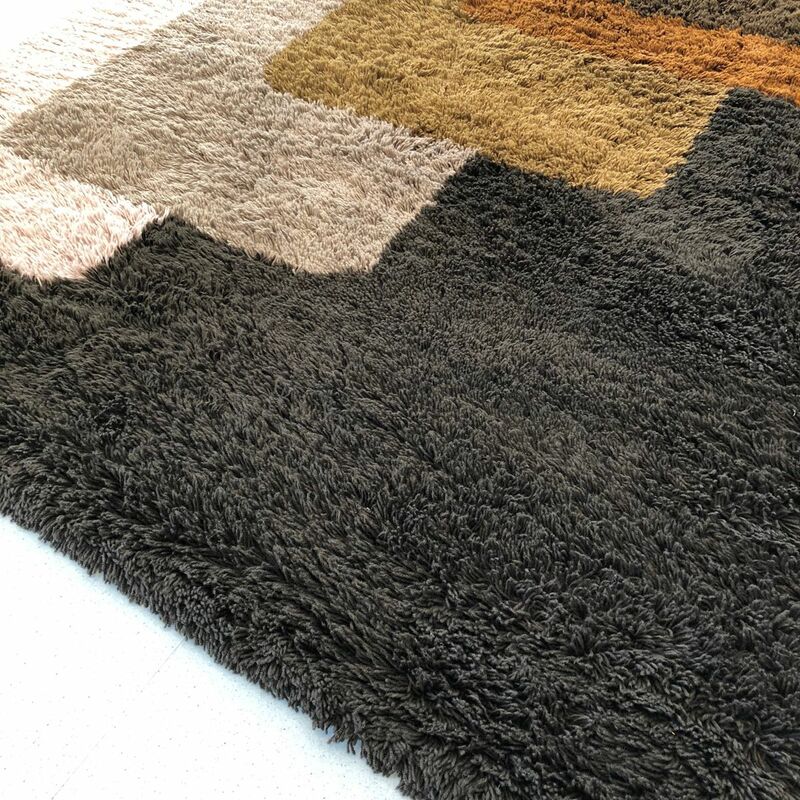 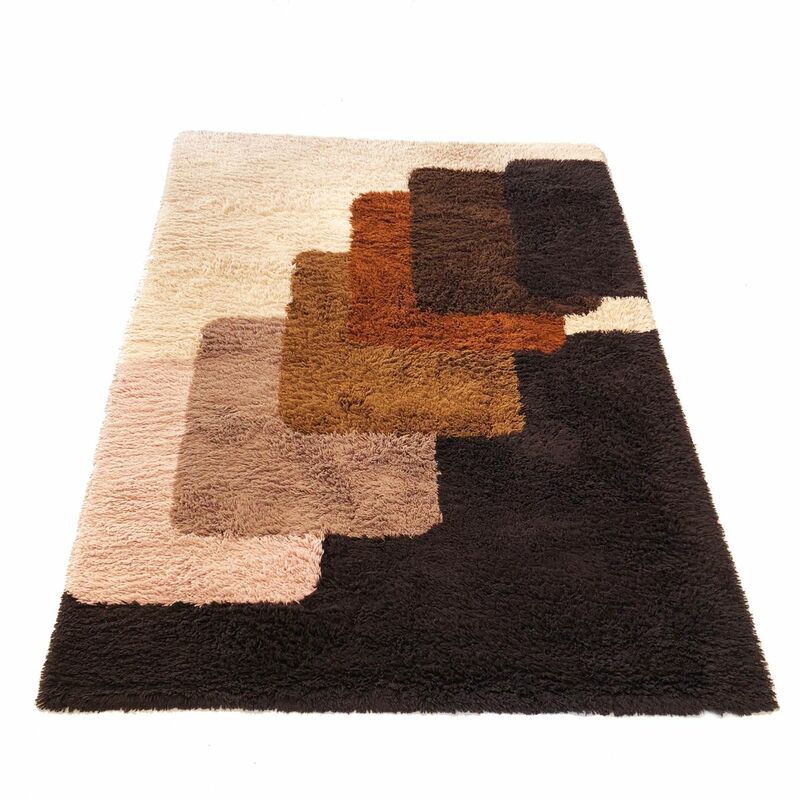 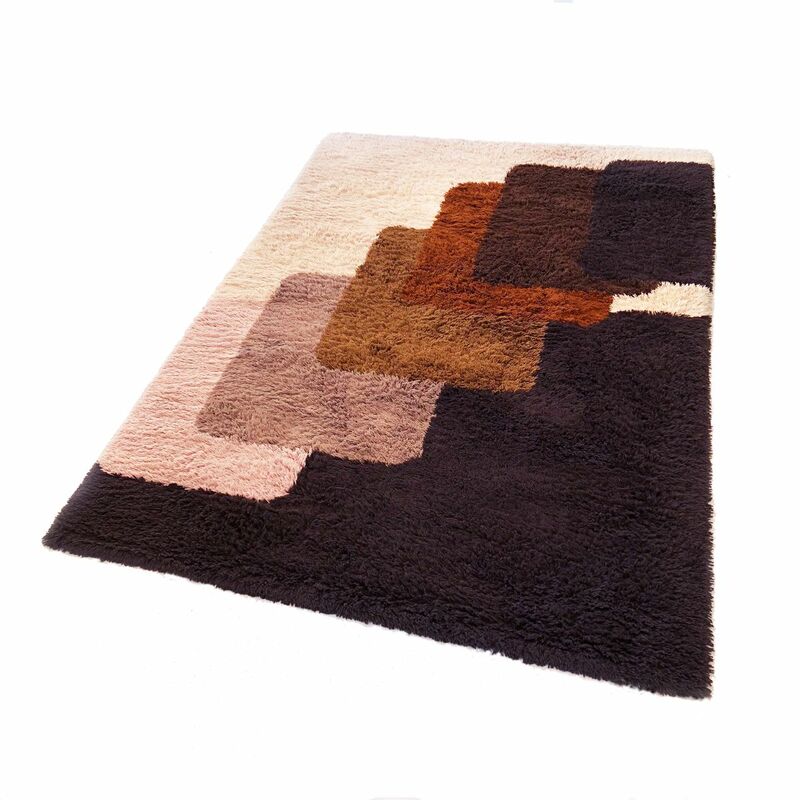 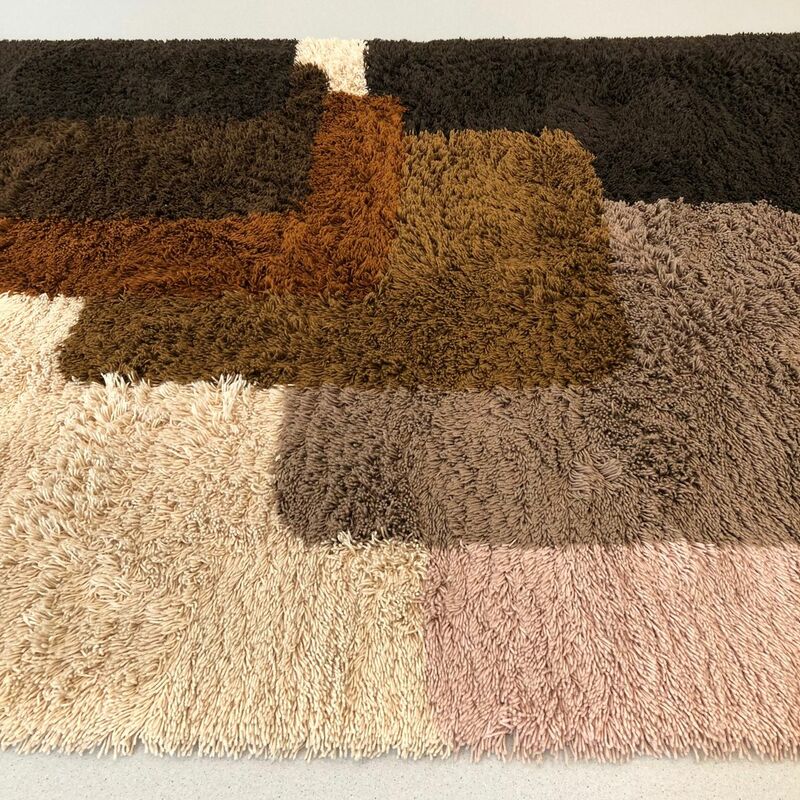 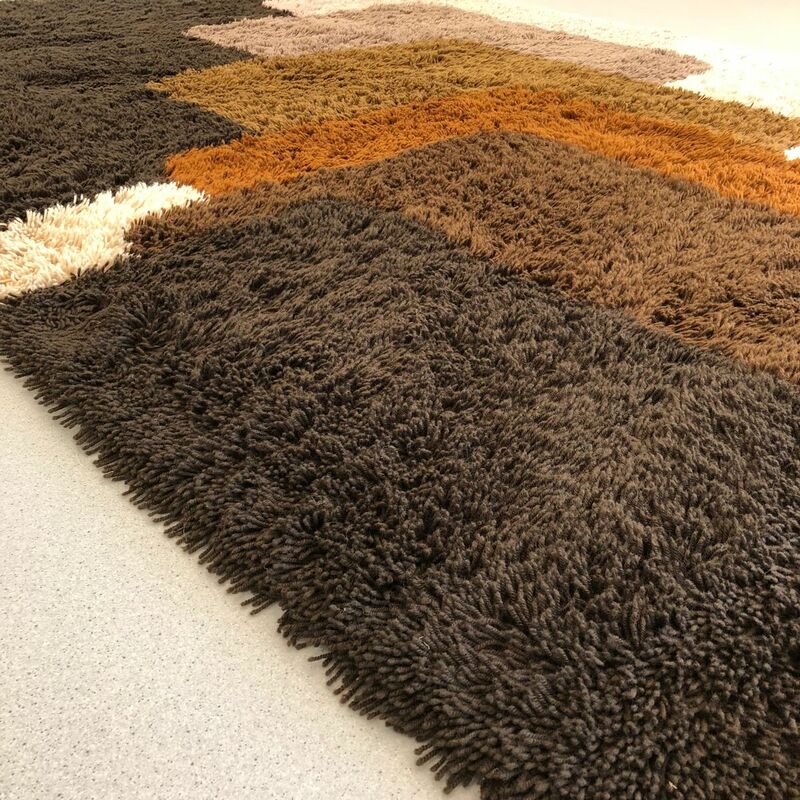 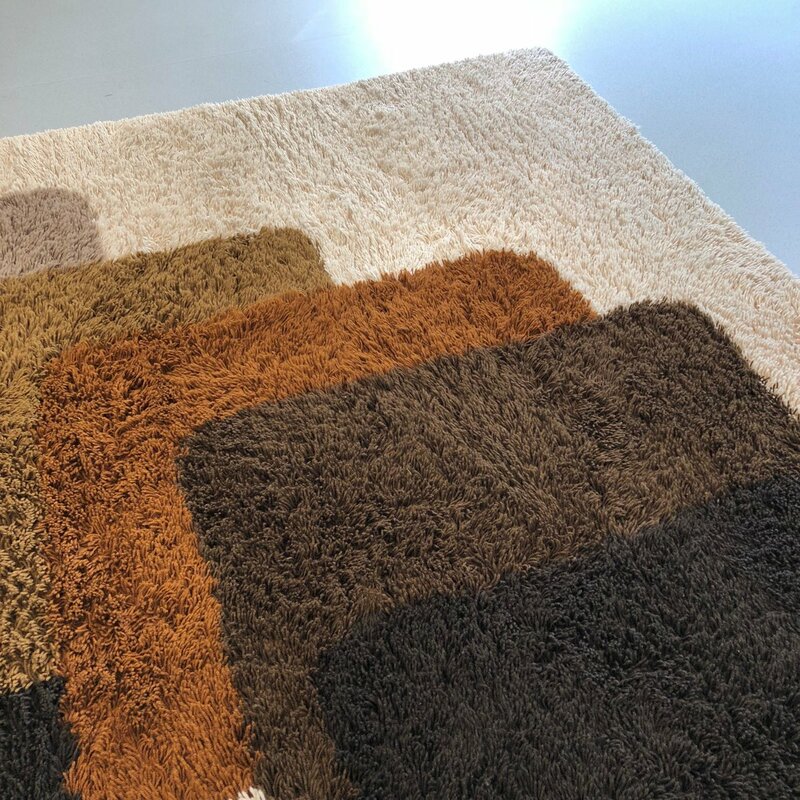 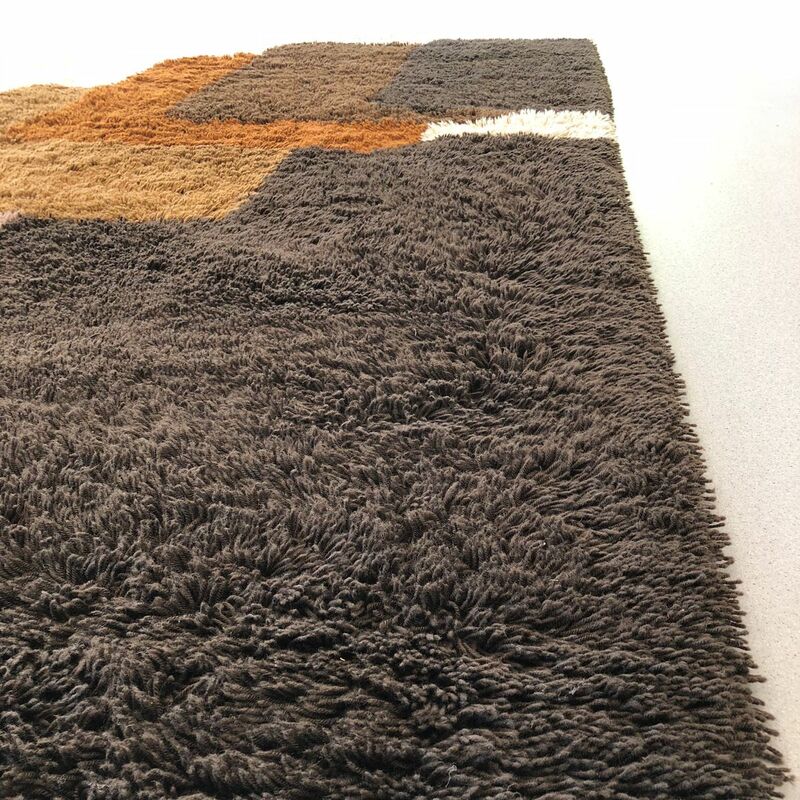 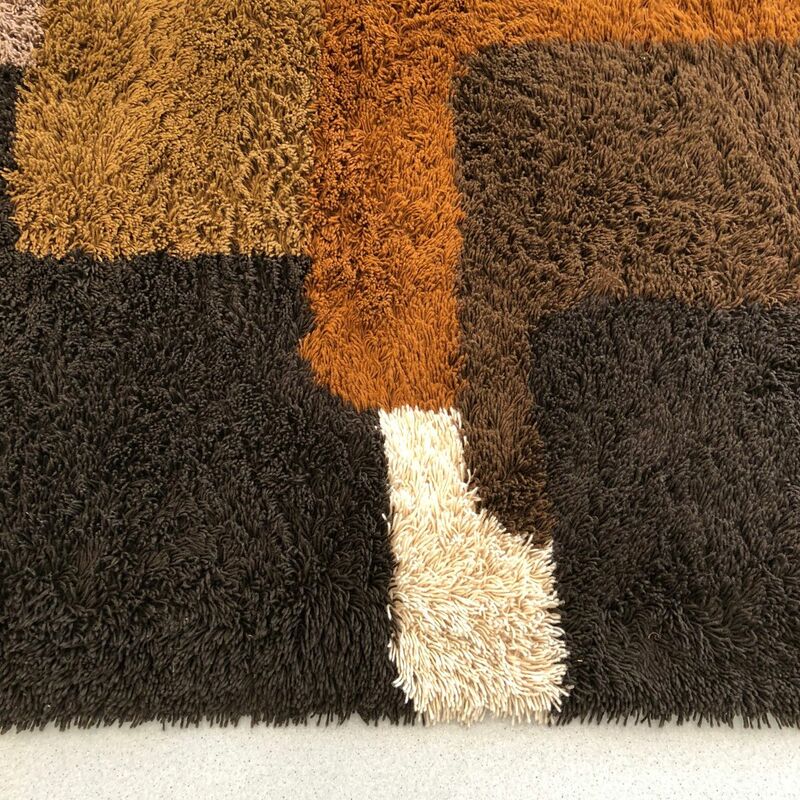 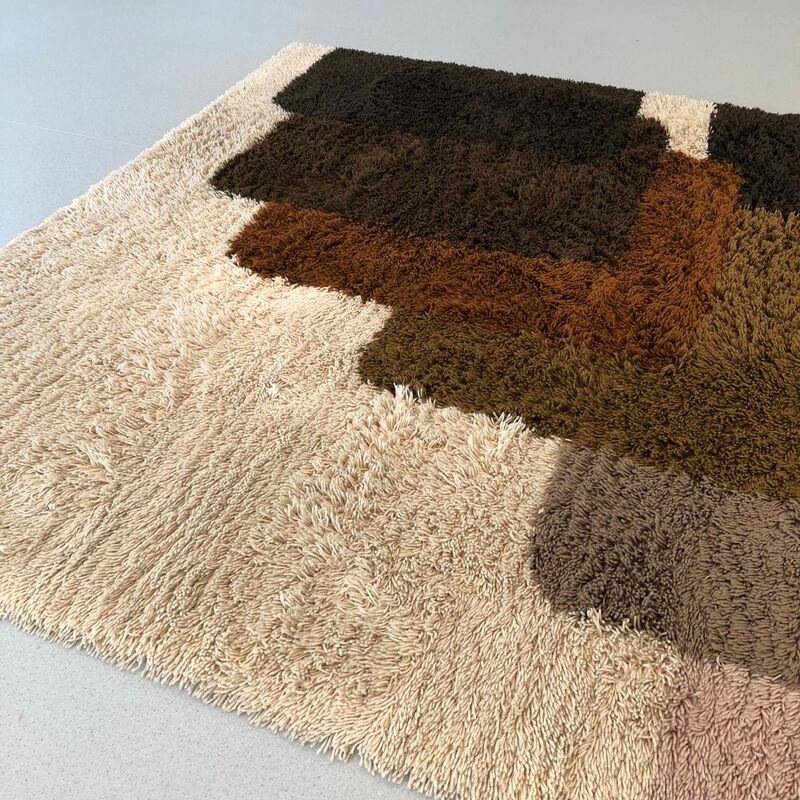 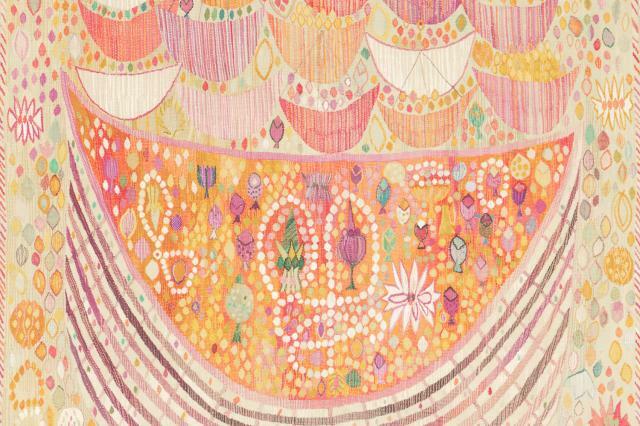 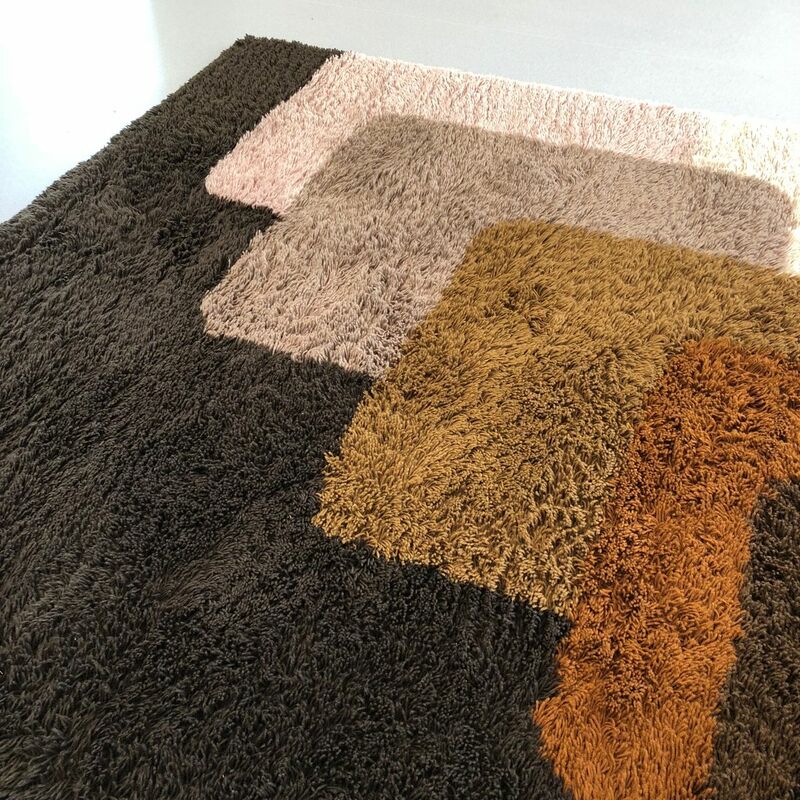 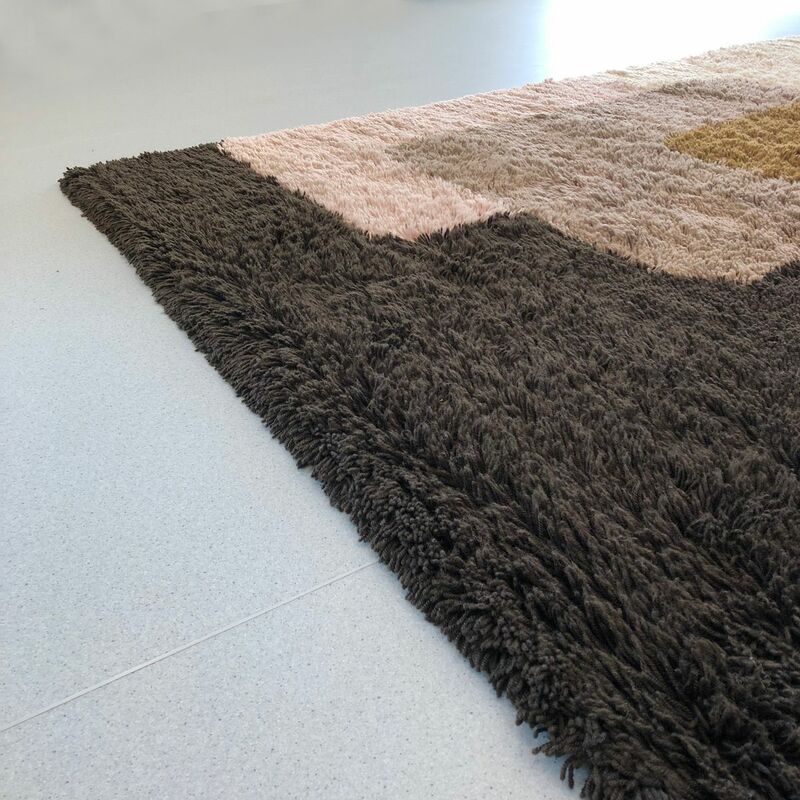 This high pile rug was designed in the 1970s and manufactured by Desso in the Netherlands. 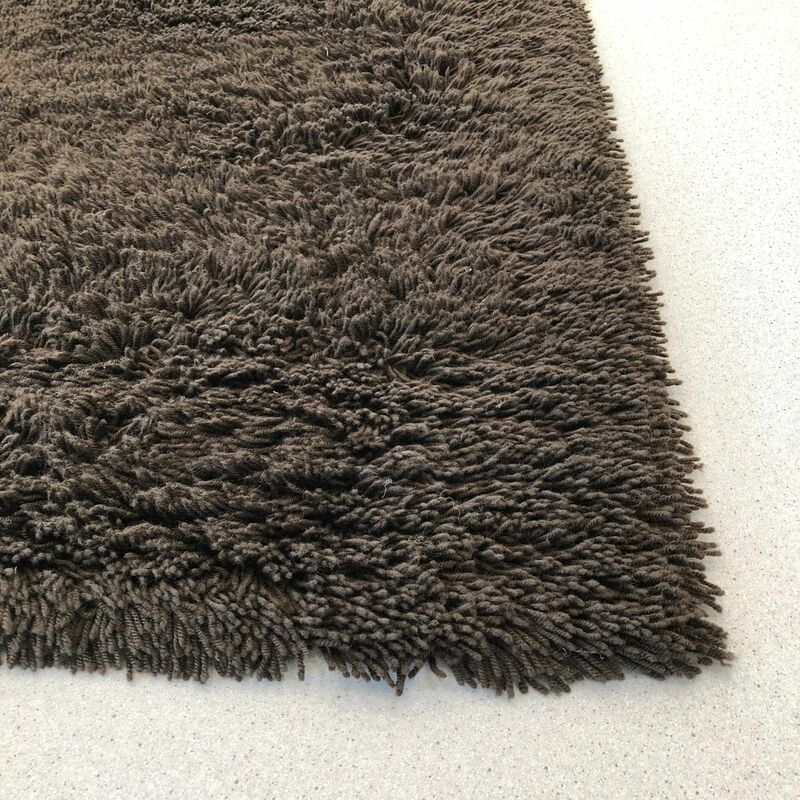 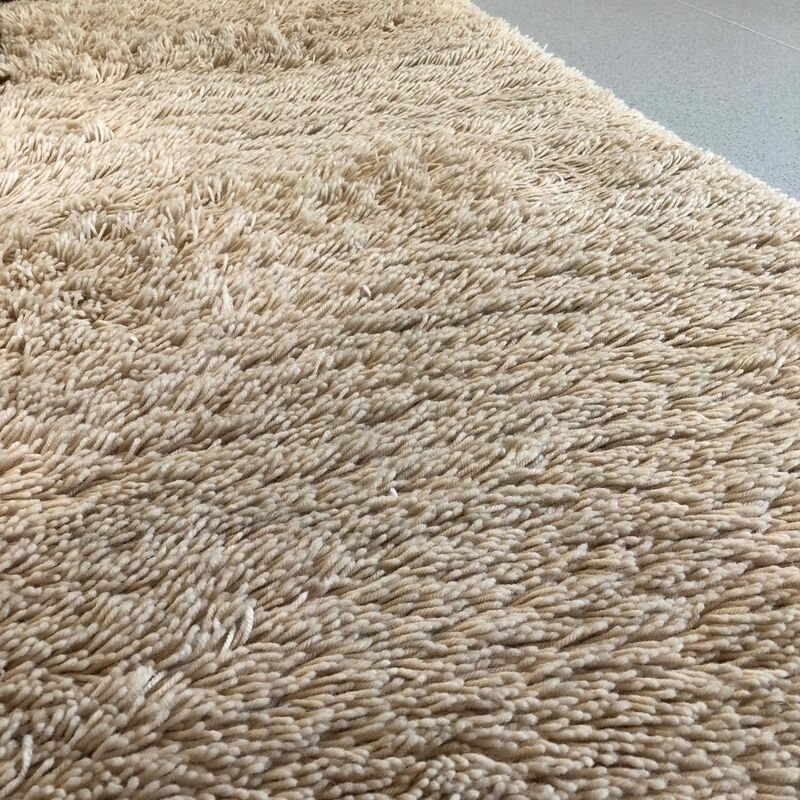 It is made from polyacrylic wool and the original producer tag is still underneath the rug.